With its barn-inspired decor and welcoming, down-home feel, modern rustic design is one of today’s hottest trends. Professional designers, DIYers and HGTV fans are flocking to its natural materials, touches of traditionalism and classic, pulled-together style. Let the home’s history shine. Rustic design is all about highlighting history. You can achieve this look with exposed ceiling beams or original wood flooring. 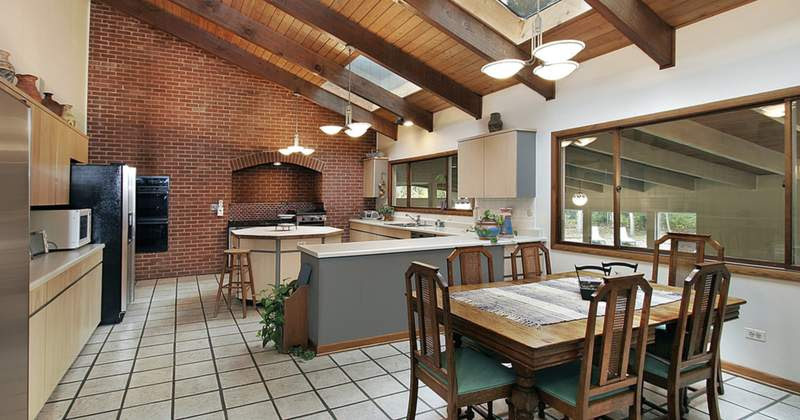 Exposed brick, painted or not, is also hot in rustic-style homes. Think light and airy. Forget dark, bold colors, and opt for whites, grays and light wood tones instead. Whitewashing is especially popular in rustic spaces, as are soaring ceilings and oversized windows to let in natural light. Incorporate natural materials. Stone, wood, concrete and even greenery can add an instant rustic touch. In the kitchen, adding an herb garden or a butcher block island can be a great place to start. Weather the storm. The weathered look plays a big role in rustic design. Reclaimed wood, shabby chic painting styles and furniture with nicks and signs of use are all fair game. Aim for antique. Shop flea markets and antique shops for decor with personality. When it comes to rustic style, the more history an item has, the better.